“Have a marmalade croissant!” was how I was welcomed to the Museum of London one day this week. It’s not always like that but I was there to see the new Paddington Bear exhibition. After I enjoyed the wonderfully sticky pastry I was able to reminisce about happy childhood memories of Paddington Bear and his London adventures. 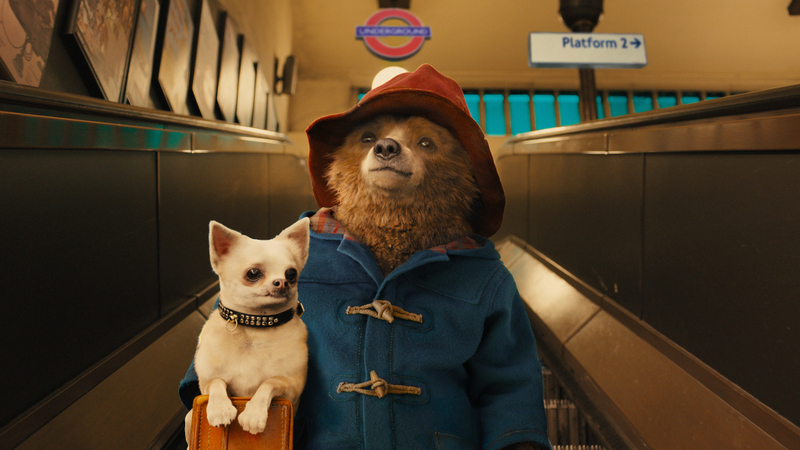 On Christmas Eve in 1956, Michael Bond (Paddington’s creator) bought his wife a small toy bear from a London department store and named him after the London railway station he travelled into each day from his Berkshire home. He started writing stories and adventures for the bear and A Bear Called Paddington was published in 1958, a couple of months after his daughter Karen was born. 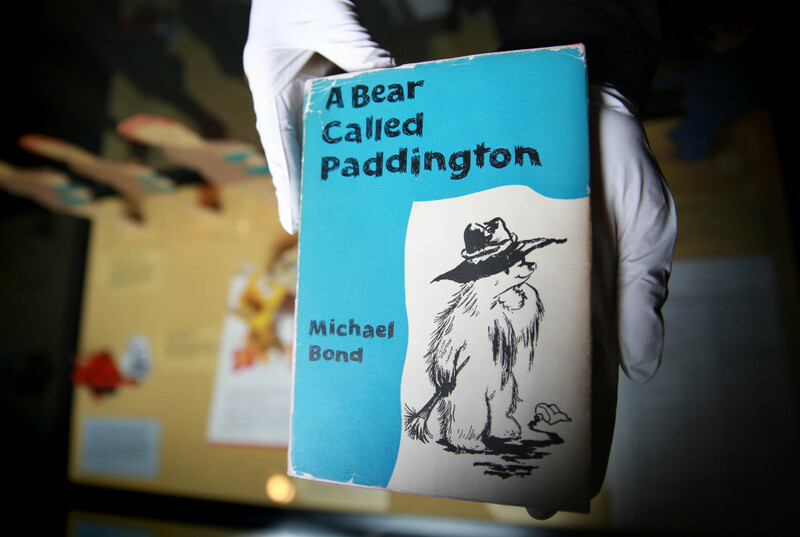 A First Edition of this book is on display at the Museum of London for the free exhibition celebrating the loveable bear from ‘Darkest Peru’. 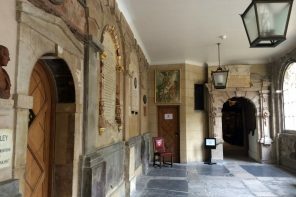 There are some film props from the new Paddington movie out later this month but the rest of the display has come from the Bond family archives and has never been displayed before. Paddington’s evolution is shown with Michael Bond’s typewriter that he used when he started writing about Paddington full-time and original sketches by Peggy Fortnum. 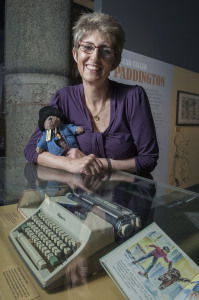 Paddington with Karen Jankel (Michael Bond’s daughter). Image © Museum of London. 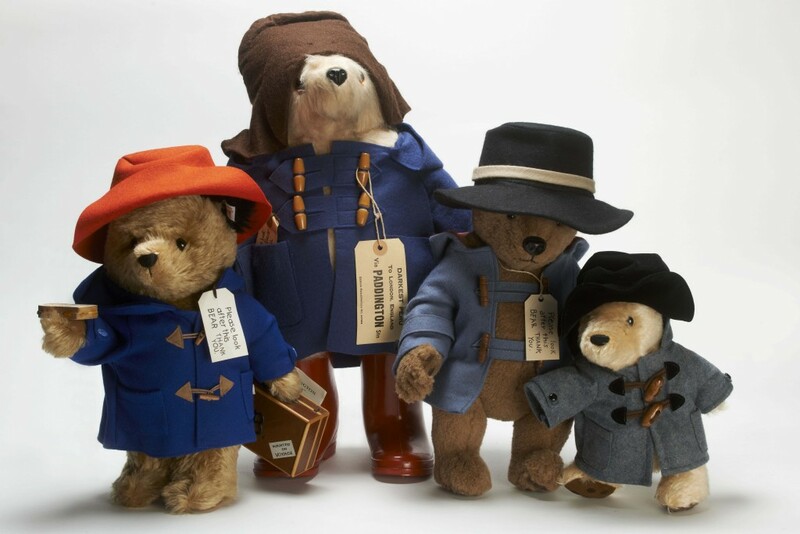 There are cardboard cut-outs and the Paddington puppet from the 1970s BBC TV animation series and and an original Paddington bear toy when merchandise became important. An original plush toy Paddington by Gabrielle Designs (1980). 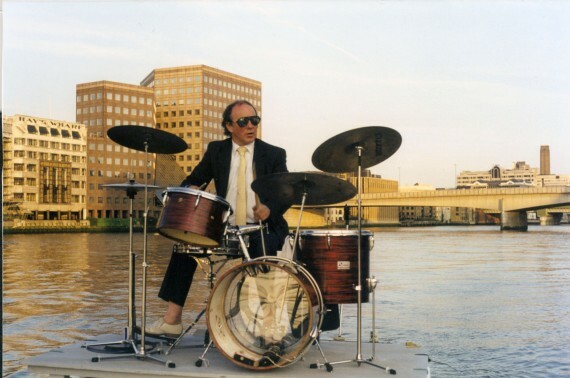 Image © Museum of London. I had one of these toys and remember how wonderful it was that a toy could stand up because he was wearing wellies. 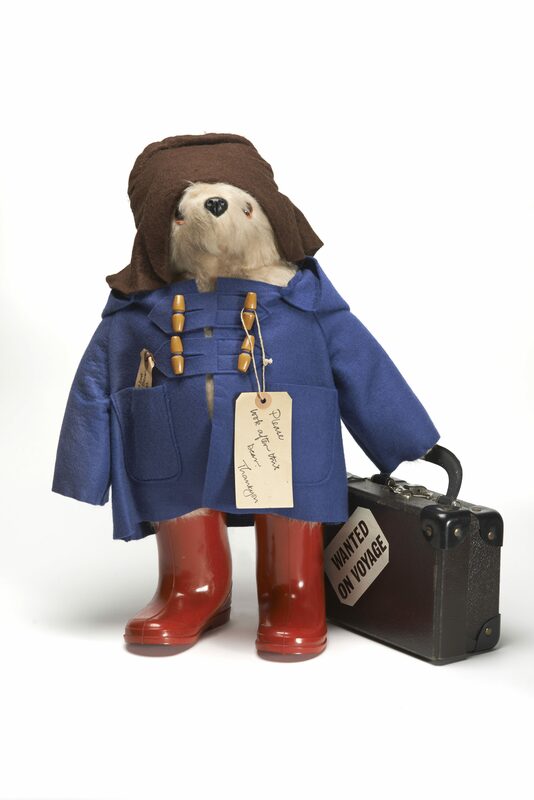 It seems the wellies were added to make children like me happy as Paddington was originally barefoot. Wellington boot manufacturers hoping to cash in on the new movie will be disappointed as the filmmakers have chosen to be true to the original style of bear and he doesn’t wear any footwear in the movie. 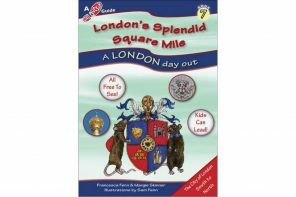 If you need any more encouragement to see this lovely exhibition, on Saturday 29 and Sunday 30 November 2014, 12-4pm, there is an indoor family festival with crafts, storytelling and plenty of marmalade sandwiches. 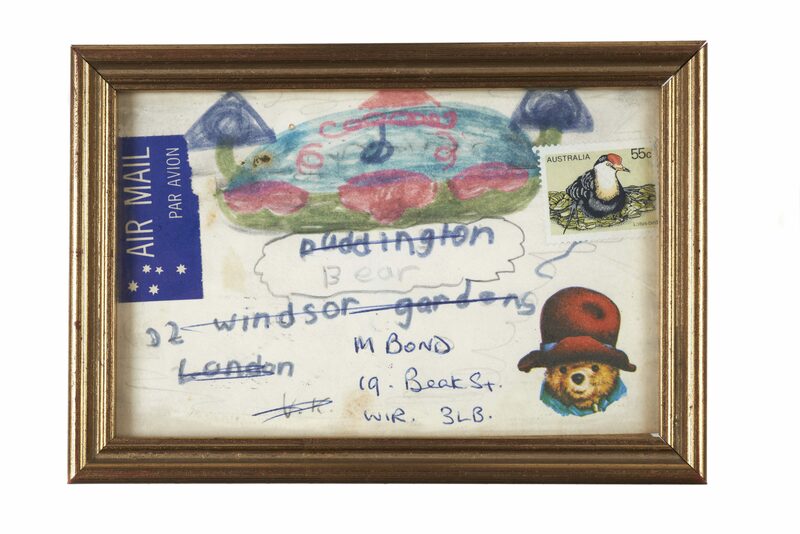 Fan mail letter from Australia addressed to ‘Paddington Bear, 32 Windsor Gardens, London’ eventually found its way to author, Michael Bond. Image © Museum of London. 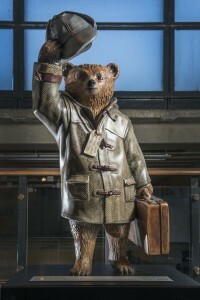 The timing of this exhibition is because of a new Paddington film which is released on 28 November 2014. And that also explains the 50 Paddington bear statues all over London too. 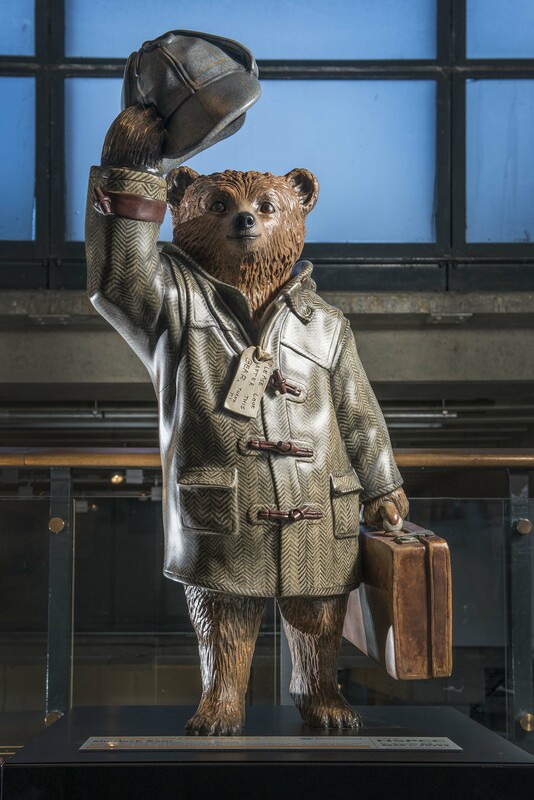 The Museum of London have cleverly tied in their Sherlock Holmes exhibition by getting the Paddington Bear statue designed by Benedict Cumberbatch. Benedict Cumberbatch’s Paddington Trail bear at the Museum of Museum. 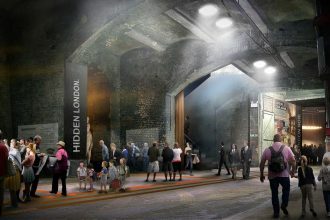 Image © Museum of London.